Do you like gripping, high octane thrillers? Are you a fan of Jack Reacher, Mitch Rapp, and Jason Bourne? 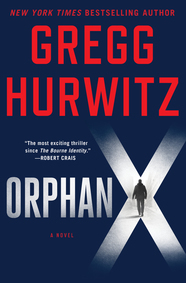 Then great news, because we have the perfect book for you: ORPHAN X by Gregg Hurwitz. To request a copy, please email library@macmillanusa.com from your library-issued email account with the subject line “Orphan X” and make sure to include your library’s mailing address.